Forget Breakfast at Tiffany’s. Breakfast at Soane’s is where it’s at. A private private view at sunrise in the North Drawing Room. Soane wasn’t afraid of breaking convention. Neither are the museum curators. At first glance it’s an alarming intervention: three contemporary sculptures of females from the waist down sitting, one cross-legged two open-legged, in a 19th century interior. British artist Sarah Lucas certainly has form. 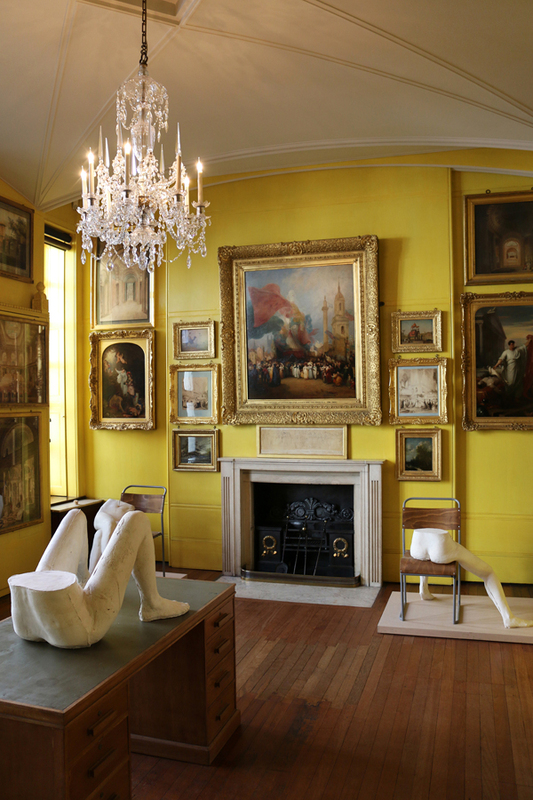 At second glance the plaster sculptures may be viewed as a development of Soane’s in situ collection of classical casts. Admittedly none of Soane’s have cigarettes protruding out of orifices. 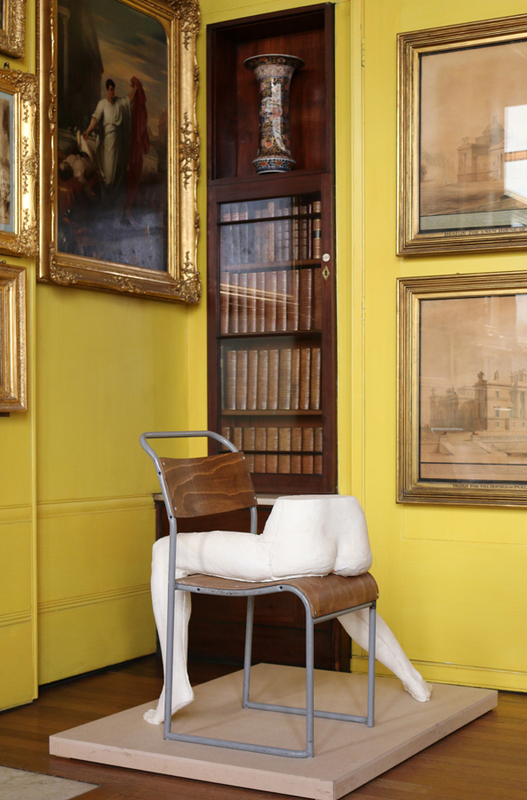 In a nice twist, the pale sunset yellow of the North Drawing Room inspired the colour of Sarah Lucas’s British Pavilion at the Venice Biennale. This entry was posted in Architects, Architecture, Art, People and tagged lavender's blue, power in woman exhibition, sarah lucas artist, sir john soanes museum, stuart blakley, venice biennale british pavilion. Bookmark the permalink.